Allergic reactions to everyday substance in the home can make life uncomfortable, no matter how much medication you take. Avoiding known allergens and making your home as allergen-free as possible can help minimize your symptoms and increase your quality of life. While no home can ever be 100% allergen-free, with the right steps you can reduce your exposure to common substances like dust mites, pet dander, mold and pollen. Dust mites are microscopic, eight-legged insects that are mainly found in bedding, curtains and carpeting. Dust mites are a significant cause of indoor allergies—up to 10% of the U.S. population is sensitive to these tiny organisms. An allergic reaction to dust mites can include itchy eyes, a runny or chronically-stuffy nose and other symptoms that often worsen during the night. The first step to reducing your exposure to dust mites is to remove the carpet from your home, especially in the bedroom. A hard surface such as hardwood is ideal, as it can be cleaned with a damp cloth or a sponge mop. If you can’t remove all the carpeting, you should vacuum daily and use special carpet treatments that inactivate the accumulated allergens and reduce the dust mite population. Frequent vacuuming is needed to remove surface allergens from carpets, however many vacuums simply blow allergens into the air. Replace your standard vacuum bag with a high filtration multi-layer bag and add a vacuum exhaust filter. Use zippered covers on all mattresses, box springs, and pillows. Wash all blankets, sheets, and pillowcases in hot water (set your water heater for one hundred and thirty degrees) at least every two weeks. Replace down comforters and feather pillows with synthetic fibers. Keep your pet out of the rooms you use most frequently, such as the bedroom and the living room. Have other family members bathe and brush your pet as often as possible. If you are severely allergic, you may have to keep your pet outside or separated from you more often. Remove and discard any curtains, carpeting, or wallpaper that show visible signs of mold. Install exhaust fans in the kitchen and bathroom and use them frequently. Use dehumidifiers in damp areas like basements to remove water from the air. Keep the humidity in your home below 50% to prevent the growth of mold. Humidity gauges are available at any hardware store. Clean shower curtains, tiles and grout regularly to prevent mold from building up. Avoid storing clothing or other items in damp areas like the basement. Don’t lay carpet in damp areas such as kitchens or bathrooms. Use ceramic tiles, vinyl flooring or laminates instead. Use interior paints that contain an added mold inhibitor whenever you paint in a damp area, especially in the bathroom, kitchen and basement walls made of brick or cinderblock. Place a chemical moisture-remover, such as calcium carbonate, in moist closets to prevent mold growth, or add it directly to damp shoes and boots. Store firewood outside, as it is naturally covered in mold. Mold can be removed from surfaces and walls by using a solution of one part bleach to 20 parts water. Dead mold can still cause an allergic reaction, but bleach has been found to reduce the severity of the reaction in susceptible people. Keep windows and doors closed as much as possible during pollen season and use an air conditioner to cool the indoors. Install an air filtration system with a High Efficiency Particulate Air (HEPA) filter to remove pollen from circulating air. Bathe pets often to reduce the amount of pollen they carry into the home. Dry your clothes and bedding in a dryer instead of using an outdoor line since pollen can cling to fabric and be transferred into your home. Nearly all allergens thrive in moist, damp environments, so keep your home as cool and dry as possible. 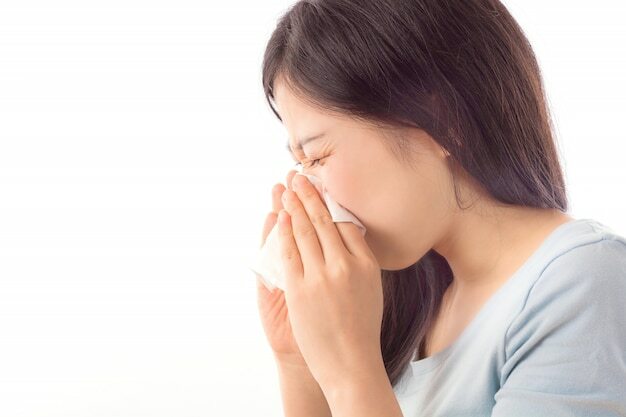 While it’s virtually impossible to completely remove all allergens, regular cleaning and taking preventative action will make your home as comfortable as possible for allergy sufferers.